Natural mineral of origin Laos Thailand having BaSO4 >90% suitable as weighting agents in oil drilling application. We are a well-renowned organization in the industry to provide our patrons the best quality array of Barytes Lump. We are specialized in offering our clients a huge range of White Barytes Lump. 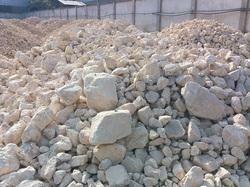 These White Barytes Lump provided by us is free from contamination with lime and other material. Precise pH value of our White Barytes makes it perfect for paint, plastic and various other industries. Our clients can avail these products from us at most competitive rates. Baryte Mines are located in Andhra Pradesh and Rajasthan, we are one of leading manufacturer and supplier of Barytes at reasonable rate. Baryte contains 95 % of Barium Sulphate and specific gravity is 4.4. We are offering Barytes in lumps and powder form. Packing of Barytes powder is in 25 kg, 50 kg and 1000 kg Big Bags. Carving a niche for the organization, we are engaged in bringing forth the clients an excellent assortment of Barite Lumps. Composed of barium sulphate, the range is usually milky white or colorless, but can also be obtained in varied colors depending upon the impurities trapped. We are offering a wide range of Barytes Lumps. It is available in lumps and powder form. 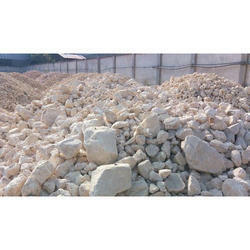 With vast industrial experience, we are involved in offering a wide range of Baryte White Lump.